Teenage Cancer Trust’s Team Boogie jump for Stephen Sutton this weekend! Inspired by Stephen Sutton and at the request of his family, Teenage Cancer Trust is organising a world-record breaking skydiving event and a team of our long-time music supporters are getting involved too. 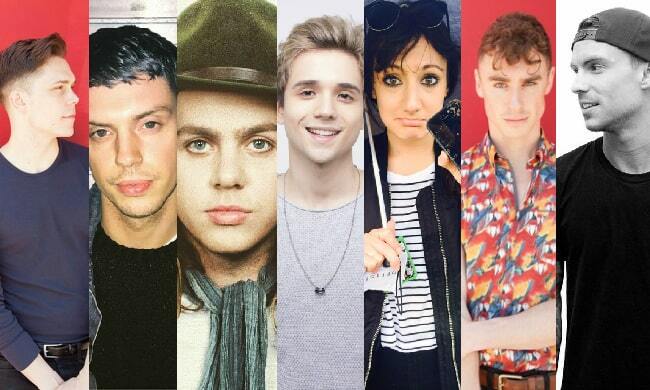 Team Boogie is Jen Walker (TCT), Adam Slack (The Struts), Ben Husted and Clare Maxwell (Raw Power Management), Dan Flint (You Me At Six), Elyar Fox, Matt Donnelly and Rob Damiani (Don Broco)! The group hopes to raise at least £5,000 – the team sponsor page is https://www.justgiving.com/teams/teamboogie where they can be sponsored collectively or individually. Every single penny will go towards helping teenagers and young adults with cancer throughout the UK. Why ‘Team Boogie’? A boogie is a gathering of skydivers for a single purpose (skydiving), focused on fun rather than competition. The jump is tomorrow, Friday 10 July, up at Hibaldstow Airfield in Lincolnshire.